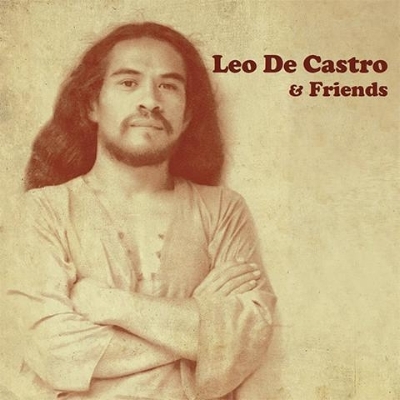 For most of the 1970s and 1980s New Zealand-born Leo De Castro was one of the best singers working in Australia. Leo was a permanent fixture on the pub/concert/festival circuit and was praised for his astonishingly soulful vocal abilities. The redoubtable singer was always able to surround himself with musicians of quality and distinction. Unfortunately he was under-recorded and this collection is the first legitimate attempt to anthologise the work of this great performer. The breadth and depth of the material that he did record proves categorically he was a contender for extensive commercial success. The reasons for a lack of widespread success are many and varied – it’s not our purposes here to debate or investigate the reasons fully – suffice to say that at least we can be grateful for the fact that he was such a force of nature as a performer. Particularly gratifying is being able to hear the live material (much of it previously unreleased) delivered by Friends circa 1972 and 1973. Let’s explore the history of this most magnificent singer. Leo was born Kiwi Kino in Auckland, New Zealand, in 1949. He adopted his stage name Leo De Castro early in the piece. By 1967 he was performing guest vocal spots around the Auckland club scene, at such venues as The Galaxie (run by Zodiac Records proprietor/promoter Eldred Stebbing), The Platter Rack and Mojo’s. He’d already found his vocal stride, delivering covers of classic Motown/Stax/Atlantic soul songs such as ‘That’s How Strong My Love Is’ (Otis Redding), ‘Loving You Is Sweeter Than Ever’ (Four Tops) and ‘Do Right Woman - Do Right Man’ (Aretha Franklin). In early 1968 Leo joined pop band The Dallas Four. They’d issued five singles between 1964 and 1967 although by then they were considered passé. Writing in Stranded in Paradise: New Zealand Rock n’ Roll (1988) author John Dix described Leo at the time as, “A fiery performer, his arrival was well-timed to coincide with the growing interest in soul music”. By 1969 Leo had set his sights on Australia where he joined The Browns, comprising Les Stacpool (guitar; ex-Merv Benton and the Tamlas, Levi Smith’s Clefs), Ronnie Peel (bass; ex-Missing Links, Pleazers, Rockwell T. James) and Ray Arnott (drums; ex-Chelsea Set). The Browns also worked with singer Bernadette O’Neill, and were variously referred to as Leo and the Browns or Bernadette and the Browns, depending on who was fronting the band on any given night. By the end of the year Leo was gaining confidence on the local scene, forming Leo and Friends with John Capek (piano, vocals), Malcolm McGee (vocals, guitar; ex-Wild Cherries, Python Lee Jackson, Virgil Brothers, Rush), Rob Mackenzie (guitar; ex-Trips), Duncan McGuire (bass; ex-Questions, Doug Parkinson In Focus, Rush), Jeremy Noone (sax) and Kevin Murphy (drums; ex-Wild Cherries, Rush). Leo and Friends appeared on the bill of Australia’s first rock festival, Pilgrimage for Pop, held at a farm near Ourimbah, NSW over the Australia Day weekend, January 1970. Ourimbah drew an audience of about 6,300 fans and featured the cream of local rock talent of the day: Billy Thorpe and the Aztecs, Jeff St. John and Copperwine, Chain, Wendy Saddington (backed by Chain), Tully, Doug Parkinson In Focus, Max Merritt and the Meteors, Levi Smith’s Clefs and the festival organizers, ex-Los Angeles acid rock band Nutwood Rug. Leo and Friends broke up around August 1970, so Leo and Rob Mackenzie formed a new band, King Harvest, which comprised McGuire, Steve Yates (keyboards; ex-Rush, Expression) and Mark Kennedy (drums; ex-Spectrum). Mackenzie left within a week or two without having played a gig with the band, his place taken by Jimmy Doyle (ex-Aesop’s Fables, Moonstone) initially for a couple of weeks before he was replaced by Billy Green (ex-Questions, Doug Parkinson In Focus). Ray Oliver (ex-Light) joined as second guitarist but Green had likewise departed by early 1971. In a Go-Set magazine feature article, entitled Music Makers ’70 Part 2 - The Heavies (24 October 1970), King Harvest was examined alongside other new bands Fraternity, Bulldog, Bootleg, Company Caine, Blackfeather and Carson County Band. The band had made its live debut on 22 October 1970 at Berties discotheque, in Melbourne. In November King Harvest recorded a studio session for the ABC-TV rock show GTK (Get To Know), laying down versions of Bobby Hebb’s ‘Sunny’ and Donovan’s ‘Season of the Witch’. Almost immediately King Harvest was matching it with all the other big draw names of the day (Aztecs, Chain, Spectrum, Daddy Cool etc) and their gigging schedule was full for the next year. They played all the usual discos (Sebastians, Catcher), hotels and Town Hall dances of the day, with some of their highest profile concert appearances being at: Melbourne Town Hall Concert 1 (12 January 1971); The Odyssey Music Festival, Wallacia (22-24 January); the T.F. Much Ballroom Rock and Roll Circus, Burnley Oval, Richmond (6 February); the Aftermath concert, Altona (19 April); and The Big Show, Melbourne Town Hall (14 May). Before his departure Green had played on the band’s two classic recordings, ‘Wichita Lineman (Introducing “By The Time I Get To Phoenix”)’ b/w ‘Summer In The City’ (January 1971) and ‘Jumping Jack Flash (Part 1)’ b/w ‘Jumping Jack Flash (Part 2)’ (April 1971), both produced by Ian ‘Molly’ Meldrum. From the outset King Harvest had concentrated on rearranging well-known songs of the day, at the expense of writing original material. The band excelled instrumentally and while the two singles were perhaps safe selections, they were passionately performed. The version of Jim Webb’s ‘Wichita Lineman’ is the band’s crowning achievement. ‘Wichita Lineman’ is one of the most beautifully elegiac and timeless ballads ever written. King Harvest’s sparse, yet enthralling arrangement of this oft-covered Webb standard is highlighted by Leo’s soulful vocals and Green’s haunting wah wah guitar lines. The single reached #35 on the national chart in April. This was a time when the local charts were buzzing with hit singles by the likes of Spectrum (‘I’ll Be Gone’), Chain (‘Black and Blue’), Blackfeather (‘Seasons of Change’), The Mixtures (‘Pushbike Song’), Zoot (‘Eleanor Rigby’), Axiom (‘My Baby’s Gone’), Masters Apprentices (‘Because I Love You’), Lotus (‘Lotus One I’ll Be Gone’), Daddy Cool (‘Eagle Rock’) and Healing Force (‘Golden Miles’) – so ‘Wichita Lineman’ was in fine company. In total contrast to the delicate ‘Wichita Lineman’, King Harvest’s version of The Rolling Stones’ ‘Jumping Jack Flash’ – with its mock live intro – is a potent, six minute rave-up fired by blazing guitars, Leo’s near-orgasmic vocal screams and crashing drums. The second part is a prime example of stoned jamming whereby the group simply abandoned the song structure and melody for the sake of heavy psych fireworks. It is a glorious ride for sure, sort of like the already spooky ‘Night on Bald Mountain’ turned into an even more deranged acid nightmare – “I was spiked outta my head” Leo whispers at one point. Not surprisingly, the single failed to chart. Things shifted quickly within the band. In March, Kennedy and McGuire left unexpectedly to join with Doug Parkinson and Billy Green in a revived version of Doug Parkinson In Focus. Gary Clarke (bass) and Kevin Murphy (by then ex-Aztecs) became the new King Harvest rhythm section. Ray Oliver also left around April to be replaced by New Zealander John Williams (ex-Rebels). By August the King Harvest line-up comprised Leo, Williams, John Capek (piano; by then ex-Carson), Jeremy Noone (piano, sax; by then ex-Company Caine), Tim Partridge (bass; Clockwork Oringe) and Barry ‘Little Goose’ Harvey (drums; ex-Chain). By late September the line-up had run out of steam, with Leo, Capek and Harvey forming Flite with Vince Melouney (guitar; ex-Aztecs, Bee Gees, Fanny Adams, Cleves) and Barry ‘Big Goose’ Sullivan (bass; ex-Chain). There was an air of great expectation surrounding this new venture but it proved to be a short-lived affair. By early December Leo had formed Friends with fellow Kiwi Charlie Tumahai (vocals, percussion, guitar; ex-Healing Force, Chain). The noble Charlie Tumahai was a musical giant of a man in his own right; or as John Dix wrote “Charlie Tumahai! Yes, Charlie Tumahai, one of Kiwi Rock’s greatest exports”. As well as playing bass he was also a consummate vocalist. He’d come over to Australia around the same time as Leo, joining and leaving Multiple Balloon, Aesop’s Fables and Nova Express in quick succession. He found the stability he craved with the exceptional Healing Force. In a career spanning a mere 12 months, Healing Force cut just one extraordinary single, ‘Golden Miles’ b/w ‘The Gully’ (June 1971). Written by guitarist Lindsay Wells the rhapsodic ‘Golden Miles’ captures the sense of loneliness and sadness of a life spent on the road. Its crisp, rhythmic organ-based sound envelops a flowing melody line and dramatic chorus. To top it off, Charlie’s majestic vocal delivery pack an incredible punch. ‘Golden Miles’ remains one of the best Australian singles of the 1970s. Formed in October 1970, the original line-up comprised Wells (ex-Bakery), New Zealander Mal Logan (keyboards; ex-Rebels, Bakery), John Pugh (bass, vocals; ex-Cam-Pact, News, James Taylor Move) and Laurie Pryor (drums; ex-Twilights, Genesis). Pugh left before the band played live which is when Charlie took up his position. Following the release of ‘Golden Miles’ Pugh rejoined on guitar but then Tumahai, Wells and Pryor all quit one by one to join Chain. Tumahai left in July, Wells in August and Pryor in September. Logan and Pugh continued on with new members Ray Findlay (bass; ex-Lost Souls, Nineteen87) and Eric Cairns (drums; ex-Somebody’s Image, Company Caine). While all these changes were going on, ‘Golden Miles’ reached #8 in Melbourne and Top 30 nationally (#22). By the end of November 1971 the band had collapsed and Logan joined Carson. As co-vocalists and the driving forces behind Friends, Leo and Charlie proved to be a formidable duo. The rest of the original line-up comprised Duncan McGuire, Mark Kennedy and Tim Martin (sax, flute; ex-Stoned Ostrich), with the band’s roadie Michael Cox occasionally playing congas. Initially they had trouble snaring the right guitar player, with Phil Manning (in between versions of Chain) and then Rob Mackenzie (on loan from MacKenzie Theory) filling in until Billy Green and Ray Oliver returned to the fold in March 1972 to provide an accomplished, dual guitar attack. As with King Harvest, Friends had no difficulty finding gigs on the thriving local scene. The band made its live debut on 10 December 1971 on the opening night bill of the Regent Theatre, South Yarra, as a rock venue. The rest of the bill comprised the Aztecs, Tamam Shud, Wild Cherries, performance troupe Tribe and folk duo Carrl and Janie Myriad. Friends got the audience jumping with dynamic versions of songs by Spencer Davis Group/Traffic (‘Gimme Some Lovin’’), Neil Young (‘Down by the River’), Osibisa (‘Ayiko Bia’), Little Richard (‘Tutti Frutti’), Robert Johnson (‘32-20 Blues’) and Healing Force (‘Golden Miles’). Although it gives no real deeper indication of Leo’s personality, it’s probably the closest any writer got at the time to uncovering what lies at the heart of the man’s creative energy. A couple of years later, fellow NZ-born musician Mike Rudd penned a song called ‘(I am The) Laughing Man (For Leo)’, which he recorded with Ariel in 1974. “I am the laughing man, I find my laughs where I can / It’s not the first time I forgot the punch-line / Punch-lines bore me that’s why clouds ignore me”. Over the Australia Day Weekend, January 1972, Friends appeared on the bill of the inaugural Sunbury Festival. Run by Odessa Promotions and also featuring Max Merritt and the Meteors, Aztecs, Spectrum/Indelible Murtceps, Greg Quill and Country Radio, Tamam Shud, Friends, La De Das, Chain, Wild Cherries, SCRA, Company Caine and more, Sunbury was a defining moment in the history of Australian rock. It was the first time that people realised it was not necessary to book overseas acts in order to pull 35,000 fans to a three-day outdoors event. Meadows Technicolour Fair (Adelaide) was a lesser known summer festival the band also appeared at, although the promoters of that event hedged their bets by featuring the international acts Edison Lighthouse, Mary Hopkin and Tom Paxton. On Sunday 19 March 1972 Friends appeared at a monumental event, the 3XY Moomba Rock Concert at Sidney Myer Music Bowl. Headlined by the Aztecs and also featuring the La De Das and Gerry and the Joy Band, the concert draw a capacity crowd of 200,000 fans. “Last Sunday night, here in Melbourne, the biggest rock concert ever held in Australia happened. The place was the Myer Music Bowl. The concert was the brainchild of the lads at 3XY here in Melbourne. The scene there just had to be seen to be believed... 200,000 people. The crowd was so huge. 200,000 people just getting it on. 200,000 people sending a vibe at the stage the like of which this country has never seen. No trouble what so ever... just thousands of kids enjoying themselves... what a scene. Despite the huge wrap for Friends, the fans were there to see Thorpie and the Aztecs. Over the Easter weekend (1-3 April) Friends traveled to Mulwala, on the banks of the Murray River inland from Albury, to play at the Rock Isle Festival. Although the festival is generally remembered as a let-down, with rain hampering events and the standard of facilities leaving a lot to be desired, the crowds were treated to performances by international visitors Canned Heat and Stephen Stills and Manassas, plus the usual local stars such as Aztecs, Company Caine, Greg Quill and Country Radio, Coloured Balls, Pirana, Gerry and the Joy Band, Chain, Carson, La De Das, Pirana, Tamam Shud, SCRA, Frieze and Russell Morris and Cycle. Amazingly, Friends’ set was recorded for posterity and six tracks are presented here for the first time. The band played at 1am, Sunday morning, and while the time slot could have conspired against them, they rallied and gave a brilliant performance as these songs so adequately display. Next Friends recorded their first studio session for GTK, featuring the group-penned ‘B. B. Boogie’, Charlie’s ‘Freedom Train’, Little Richard’s ‘Lucille’ and Chicago’s ‘Colour My World’. At the end of April the band was in Sydney for a week’s residency at Chequers nightclub, supported by Nitro and Lizard. Next they hit the stage at the Hordern Pavilion as one of the supports – alongside Frieze, Carson and the La De Das – for the Aztecs. They ended their Sydney stay with a Sunday night slot at the Whisky supporting Company Caine. While in Sydney, Friends loaded into Festival Studios and recorded the exceptional hard rock single ‘B. B. Boogie’ b/w ‘Freedom Train’, for release on the ATA label in August. Both tracks build up a decent head of steam, with the jazz-tinged ‘Freedom Train’ being an essential example of jubilant Aussie progressive rock, a master class in elation with Leo beseeching the listener to “climb aboard the Freedom Train”. ‘B. B. Boogie’ is another powerful performance, with a multitude of buzzing guitar solos flying around the propulsive rhythm. Possibly the group’s most unusual gig was appearing at the Capitol cinema (23 July), Swanston Street, Melbourne, playing before the screening of the rock documentary Soul to Soul (featuring Wilson Pickett, Santana, Ike & Tina Turner, The Staple Singers and The Voices of East Harlem). Go-Set reported (28 October) that the band had recorded a (live) version of ‘Lucille’ for a new single, with the B-side to be written by Duncan McGuire (although that didn’t happen). The single appeared on the fledgling Mushroom Records in February 1973, with ‘Lucille’ proving to be a raucous bar-band rendition, backed by a stomping interpretation of Willie McTell’s ‘Statesboro Blues’, as done by The Allman Brothers Band. In the meantime, more changes were afoot. Just as Friends were gearing up for an appearance at Sunbury 1973, Charlie made his exit in order to rejoin his old band, the re-formed Healing Force. This must have been a blow to the solidarity of Friends but they forged on, appearing at Sunbury as a six-piece comprising Leo, McGuire, Kennedy, Green, Oliver and Martin. The live cuts (Leonard Cohen’s) ‘Bird on the Wire’ and ‘La La Song’ appeared on Mushroom’s triple album set The Great Australian Rock Festival Sunbury 1973 (April). Leo was also heard on the Coloured Balls/Billy Thorpe late night jam session ‘Help Me’/‘Rock Me Baby’, which appeared on the Summer Jam album; however, it’s evident that Leo wasn’t so good at improvisation and his voice only comes in intermittently. Just prior to Charlie’s departure they’d recorded a second studio session for GTK, with versions of McGuire’s ‘Talkin’ ’Bout You’, ‘Going Home’ and ‘Lady Montego’, Leo’s ‘La La Song’ plus covers of ‘Hound Dog’ and ‘Lucille’. Soon after Sunbury, Green, Oliver and Martin left Friends. Singer/song writer Ray Burton (vocals, guitar; ex-Executives) had recently returned from the USA and he came in as replacement in April, making it a four-piece line-up. Burton brought his song writing talents into the band and McGuire had started to write songs as well, such as the three mentioned above, all of which augured well for the future. This version of Friends recorded ‘Freedom Train’ and ‘Lady Montego’ for GTK. Having signed to the Mushroom label – alongside MacKenzie Theory, Madder Lake, Matt Taylor and Chain – as well as coming under the auspices of Gudinski and Evans’ booking agency, the Australian Entertainment Exchange (AEE) – later to be known as Mushroom Artist Co-Ordination (MAC) – Friends were on hand for the last days of the Garrison disco (31 May to 10 June). Garrison (166 High Street, Prahran) had been the home of the swinging jet-set during the 1960s and the new look Garrison was launched as a more progressive “muso’s venue” on 23 August 1972. It was a well-attended hang-out for local musicians. The new management team was Michael Gudinski and promoter/band booker Adrian Barker. It’s likely that the final plans for the long-heralded Mushroom label had been laid here on the long nights of mind-blowing music. By April 1973 Prahran council, for a variety of reasons, had determined that the venue wasn’t suitable for the local area and was set to shut it down. Despite much lobbying by the promoters the end eventually arrived in early June. Plus special Brown Eye Lites both weekends! Selected highlights from the fortnight’s entertainment were issued on two budget albums, Garrison The Final Blow Unit I and Garrison The Final Blow Unit II, on Mushroom’s anti-rip-Off label. The De Castro, McGuire, Kennedy and Burton line-up of Friends appeared on Unit I with impressive versions of ‘Lady Montego’ and ‘Freedom Train’. Leo introduces the highly charged ‘Freedom Train’ by announcing “this is a song written by Charlie – the bewildering Charlie Tumahai”. Interestingly enough, Charlie had appeared with his new band, Alta Mira, on the opening night. Not long after the songs had been recorded, Burton, Kennedy and McGuire left Leo to form an eponymous trio which had evolved into Ayers Rock by the end of the year. Having been left high and dry Leo forged on with a new, short-lived, version of King Harvest with Tui Richards (guitar), Lindsay Wells (guitar; ex-Healing Force, Blackfeather), Ben Kaika (bass; ex-McPhee, Tramp) and Steve Webb (drums; ex-Blackfeather, Duck, Tramp). By the end of the year the singer had formed a new band called De Castro. Moving away from the progressive rock of Friends, De Castro the band played a mix of funk, soul, rock and blues. It was a style Leo would pursue for the rest of his career. The De Castro line-up was completed by Steve Webb, Rob Grey (keyboards), Ian ‘Willy’ Winter (guitar; ex-Carson, Daddy Cool) and John Young (bass). Later in the year Leo moved to Sydney where he joined funk outfit the Johnny Rocco Band. The original Johnny Rocco Band line-up, formed in February 1974, comprised Mark Punch (guitar, vocals; ex-Mother Earth), Tony Buchanan (sax; ex-Daly-Wilson Big Band), Tim Partridge (bass; ex-King Harvest, Mighty Kong) and Russell Dunlop (drums; ex-Levi Smith’s Clefs, SCRA, Mother Earth). They were one of the first Australian bands to incorporate funk and soul into the pub rock forum. Leo and Mick Kenny (keyboards; ex-Levi Smith’s Clefs) joined in late 1974. The band recorded the first version of ‘Heading in the Right Direction’, co-written by Mark Punch and Garry Paige. Singer Renée Geyer later made the song famous via her definitive reading. The single ‘Heading in the Right Direction’ b/w ‘Funky Max’ came out in August 1975. Harris Campbell had replaced Punch who went on to join the Renée Geyer Band. Johnny Rocco Band issued the album Rocco (May 1976) which yielded a second single, ‘Gonna Have a Good Time’ b/w ‘Who’s this Guy’ (April). Amazingly, this was Leo’ first appearance on a full band album. Leo’s gorgeous vocals lead the way on ‘Heading in the Right Direction’, ‘Gonna Have a Good Time’ and ‘She’s Knocking on My Door’. The band’s playing throughout is incredibly tight, with Dunlop’s fatback drum patterns driving the music onwards. The likes of ‘Funky Max’ and ‘Rocco’ are now highly rated examples of the funk rock genre (although Leo’s vocals are but a minor part of these particular tracks). The album got issued in the US of the 20th Century label and prospects looked good. Success failed to come the band’s way and they parted in late 1976. Leo formed the all Kiwi band Cahoots with Tui Richards (by then ex-Powerhouse), Billy Rylands (guitar; ex-Freshwater, Stevie Wright Band), Phil Pritchard (guitar; ex-Highway, Miss Universe), George Limbidis (bass; ex-Highway, Miss Universe) and Doug McDonald (drums; ex-Powerhouse). In May 1977 the band was billed as Leo De Castro and Rocco with Mark Punch back in the line-up. 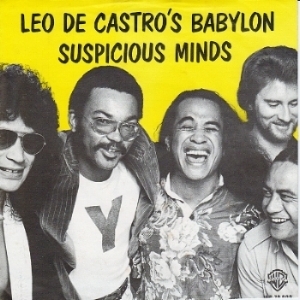 By the end of the year it was the Leo De Castro Band. Then came Heavy Division in 1978 with Richards, Russell Smith (guitar; ex-Company Caine, Mighty Kong, Billy T), Tim Partridge (bass; by then ex-Kevin Borich Express) and John Watson (drums). By December 1978 it was Leo De Castro’s Babylon with Richards, Rylands, Thomas Reid (bass) and John McInerney (drums; ex-Company Caine, Foreday Riders). Babylon recorded one single for Warner Bros in 1979, a cool reggae-styled cover of Elvis Presley’s ‘Suspicious Minds’ b/w ‘Hindley Street’. Somehow the single got issued in the Netherlands (with a picture sleeve) but once again success was not forthcoming. In the early 1980s Leo moved to Hobart, Tasmania where he formed a succession bands, including Toots and the Legmen, Leo and Friends and The Early Kookas. Leo continued to perform solo around Tasmania until October 1987 when he assembled a group of musicians under the Friends banner for a series of shows at the Basement in Sydney. The line-up comprised Jimmy Doyle (guitar), Mark Punch (guitar), Dave MacRae (piano), Dave Green (bass), Mark Kennedy (drums), Andy Thompson (sax), Jason Brewer (sax), Jason McDermid (trumpet) and Sally King (guest vocals). The shows produced the cassette-only album Live at The Basement. The band was on mighty form with Leo delivering stellar versions of Otis Redding’s ‘Mr. Pitiful’ and ‘Fa Fa Fa Fa Fa (Sad Song)’, Wilson Pickett’s ‘Mustang Sally’, James Brown’s ‘Papa’s Got a Brand New Bag’, Ben E. King’s ‘Spanish Harlem’, Wilbert Harrison’s ‘Let’s Work Together’ and Elvin Bishop’s ‘Fooled Around and Fell in Love’. (The concert has been issued on CD). In 1995 Leo returned to New Zealand with the purpose of reuniting with his former Friends comrade Charlie Tumahai. Charlie had been playing bass with The Herbs for the previous ten years. Sadly Tumahai died in December 1995 from a heart attack. Leo returned to Hobart where he continued to play gigs. Some of his work included country soul band Leo De Castro and the Cuban Heels (he loved George Jones as much as Otis Redding) and The Warriors which featured fellow Kiwi guitarist Joe Pirere. In 2008 Leo’s health started to decline, due to a heart condition, so he decided to return to Auckland. He played a rapturous farewell gig with The Warriors at Hobart’s Republic Hotel (5 September 2008) and then went home. One of the great mysteries in the annals of Australian rock music history is why the legendary Leo De Castro remains but a footnote. His genuinely passionate, soulful voice was a joy to hear and the music contained herein is testament to a fine legacy. I had the great honour of chatting briefly with the wondrous Leo De Castro, over the phone from his Auckland home (10 January 2017). Hello Leo, it’s great to talk with you. How are you? Did you have a lot of fun working with Charlie? Did you have a favourite song from King Harvest or Friends? You always played with some fabulous musicians such as Billy Green, what a great guitar player. I loved the Johnny Rocco Band album. Did you like that album? Who was in The Warriors? It’s been a great honour to talk with you Leo, because I’ve loved a lot of the stuff you’ve done over the years. Leo, thank you so much for your time.